It's almost unimaginable that just a few years ago we couldn't summon strangers in cars to our location at any given time without looking up from our phones, but we really did live that way. Ride-hailing services are a normal part of our daily life now, though, so it's only natural that on top of this incredible convenience they start giving us perks too. Lyft has already taken folks to the polls on Election Day, paid people to not use their cars, and even given discounts on 4/20. Now, it's unveiling a rewards program. 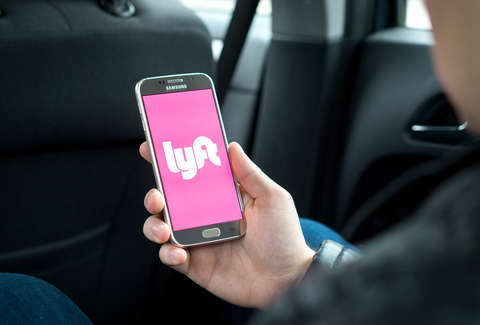 Lyft will debut the new feature in December to a limited base of users, the company said in a blog post announcing the program. The rewards membership will work pretty much how you'd expect, with riders racking up points by spending money on trips and using those points to get perks like upgrades to Lyft Lux, access to more experienced drivers, and most importantly, discounts on future rides. As for tracking your progress toward rewards, you'll be able to see what you're eligible for in the Lyft app. In December, users in certain cities will receive emails inviting them to join the program. That may not include you yet, but more people will be invited to join in early 2019. If this all sounds familiar, it's pretty similar to the rewards programs for airlines. In case you needed another way to justify never walking anywhere, well, here you go.